Gain insight into what happens in the Cloud. Using the NiCE Active O365 Management Pack for Microsoft SCOM, advanced monitoring has never been easier. The NiCE Active O365 Management Pack smart algorithm determines problems and their severity way upfront. Even the specter of global service outages has to confess. Leverage your existing investment, reduce costs, save time and build efficiencies that will last beyond your expectations. We love to make your life easier. 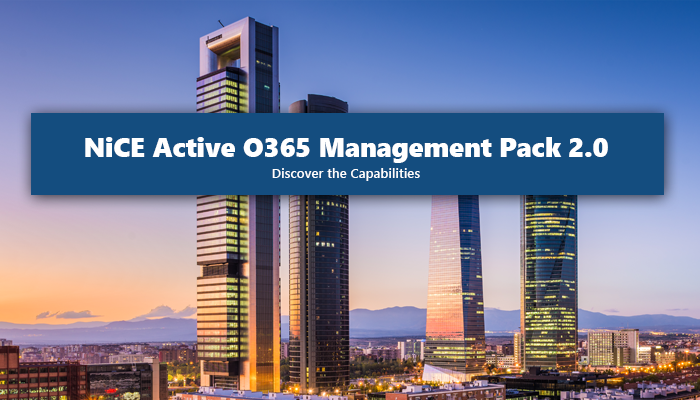 Click below and request a demo, download the bits & bytes or even get a quick quote on the new NiCE Active O365 Management Pack.